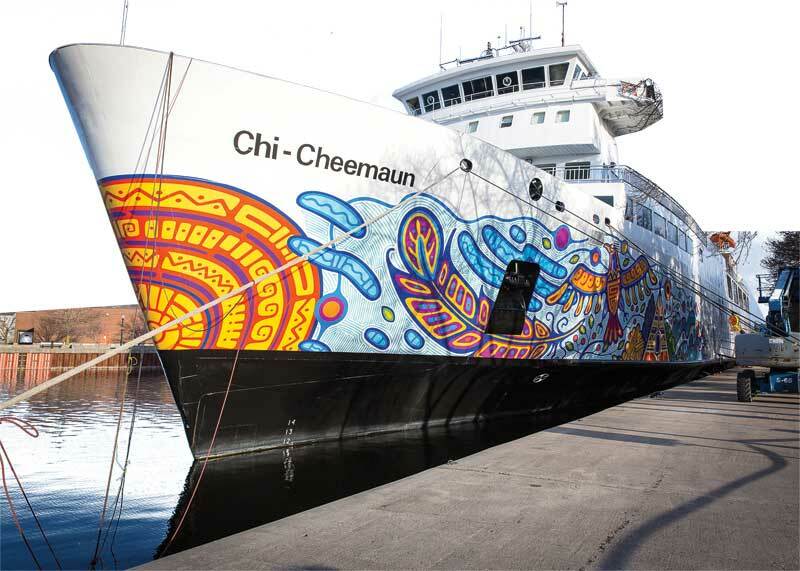 This ferry wrap project took three years to complete. In 2015, the upper stack was wrapped and then, in 2017, the outside hull, which covers a large portion of the front and side of the ferry, was completed. To apply the 60-m (197-ft) wide graphic film on each side of the ship, two aerial lifts were used.